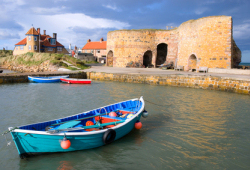 It is difficult to describe all that Northumberland has to offer, because it offers so much. And our location near historic Alnwick couldn't be better placed to help you enjoy it. An application to one of the local tourism information centres will bring a deluge of leaflets. Here are just some holiday ideas. 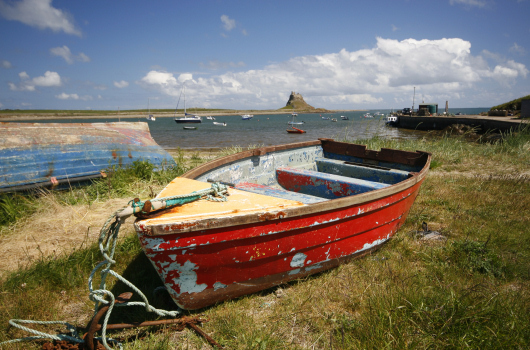 Visit the Holy Island of Lindisfarne, the Farne Islands, the Grace Darling Museum, Chillingham Wild Cattle, Kielder Forest, Water and Dam ... and much, much more. One can see seven castles from the top of an old tower near Alnwick. 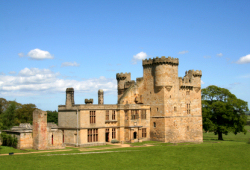 The whole county is blessed with a large number of historic buildings of great interest, including Bamburgh Castle, Belsay Hall, Cragside, Dunstanburgh Castle, Wallington Hall and Warkworth Castle. The Roman conquest bequeathed Hadrian's Wall. The Vikings and the Borders Wars with the Scots left their own legacy. Visitors can discover the history of the ancient Kingdom of Northumbria from a plethora of local heritage sites and museums. With Northumberland National Park, the Cheviot Hills and all those miles of beaches, walkers are truly spoilt for choice. There are many miles of unspoilt, award-winning and largely deserted beaches. The Farne Islands are famous for the wide variety of sea-birds that nest there, including guillemots and puffins. Choose from a choice of ten golf courses within a 10 mile radius of Shilbottle. There is excellent fishing on the Aln, Coquet, Till, Tweed and, of course, sea-fishing off the coast. Hardy, the world famous fishing company, has an interesting museum at its headquarters in Alnwick. Groceries can be bought locally in the village shop in Shilbottle. Alnwick offers a very good range of shops. Excellent shopping can be enjoyed in Newcastle or the Metro Centre at Gateshead. There are several good restaurants in the area. We will gladly make a recommendation. Edinburgh is 95 miles; Newcastle 28 miles; Carlisle 75 miles. 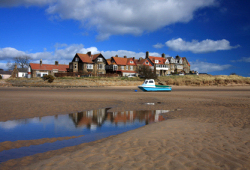 By rail, Alnmouth Station, on the East Coast Line between London and Scotland, is just 3 miles away.